Hints of the ocean breeze on an early morning: fresh marine notes and subtle nuances of white musk create a delicate, relaxing fragrance. 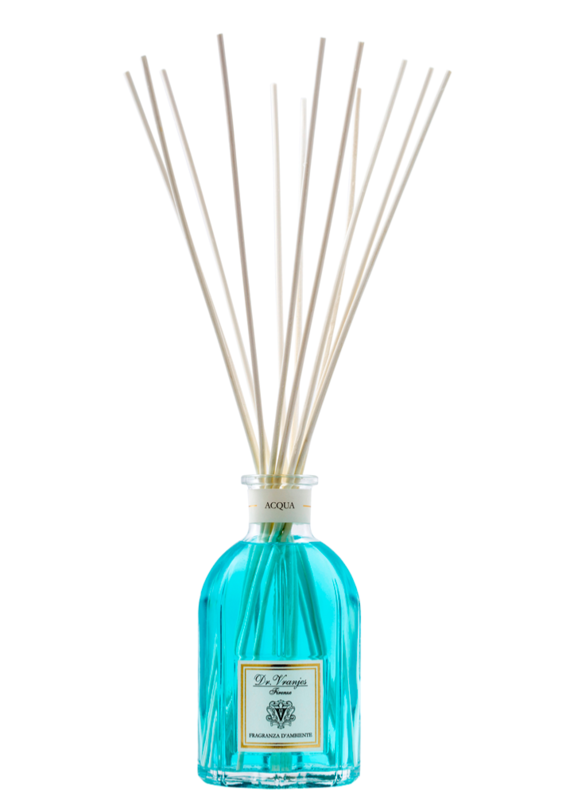 Presented in a luxurious bottle " Duomo " , inspired by the dome of the cathedral Santa Maria del Fiore in Florence. Please note : from 01/08/2018, first price increase since 03/2016. 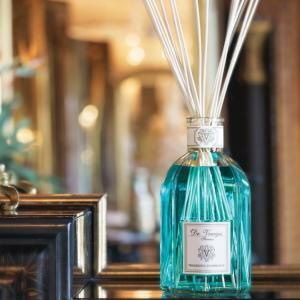 On average + 4% mainly due to the increase in prices ofperfume essences and transport costs of Dr Vranjes Firenze suppliers. 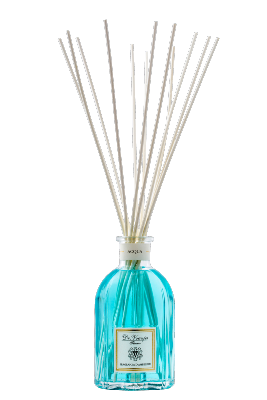 Acqua : Aromatic notes of Basil leaves, together with intense and transparent marine traces, represent the beginning of the fragrance then to evolve in White Musk and saltness essence, giving temper and personality. The Four Elements for four fragrances that evoke all the purity of the scent of the great Mother Earth: Acqua, Aria, Fuoco, Terra. 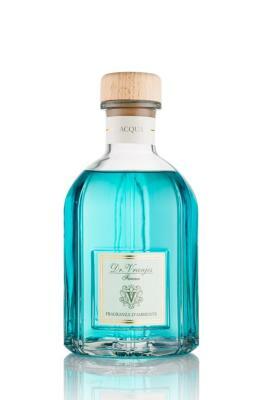 Each home fragrance Dr. Vranjes Firenze is a unique creation , which are used in natural essential oils carefully measured, which contains at least 10% of perfume. Natural essence (not synthetic) is a living element that makes it unique the scent Dr Vranjes brings incredible benefits and associated practices Aromatherapy and Aromacology . The correct placement for your home fragrance is the central area of the house, so that the parfume is captured and spread in all the ambiences by the people passing by. For a better use, avoid direct solar exposition of the bottle or in proximity to heat sources, since that heat may affect the evaporation of the fragrances. Remove the cork and set in it all sticks you have.